Biodiesel production is increasing worldwide, and it is considered to be a renewable source of energy since it is produced from biomass feedstock. 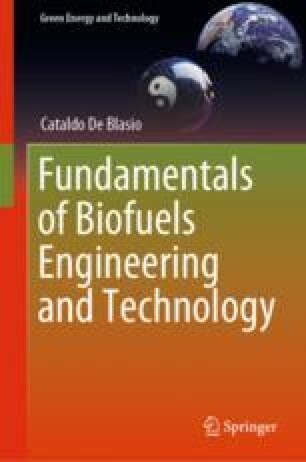 The principles of biodiesel production and the main reactions involved are described here with some emphasis on the chemistry involved. The formation of the necessary esters is reported along with the different forms of catalysis used. For didactic purposes, some notions of organic chemistry are given here to understand why different forms of catalysts are used in diverse conditions. The overall process of biodiesel production from alkali-catalyzed reactions is described at the end of the chapter. The energy in biomass doesn’t come for free, you have to use fertilizers. You have the plowing of the field and even by plowing the field you will need power. I have read that for 1 hectare 100 liters of diesel will be needed. If the scope of the land is the production of biodiesel, 1/10 will be lost just for the plowing of the field. Michel Hartmut, Nobel Prize in Chemistry in 1988.